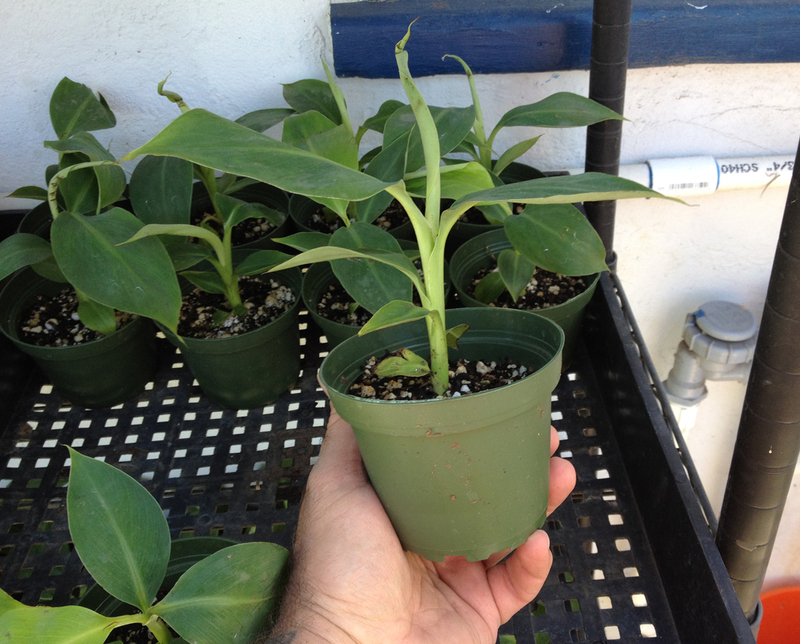 The Dwarf Cavendish produces a great tasting banana that is a Dessert banana. 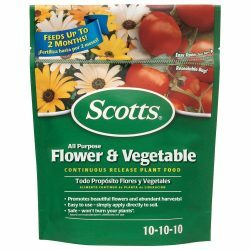 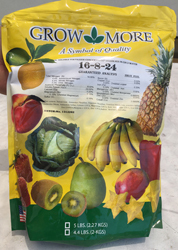 A great backyard grower for the home gardener with the same looks and tastes great. The bananas are sweet dessert quality, and the plant is very productive and a fast grower. 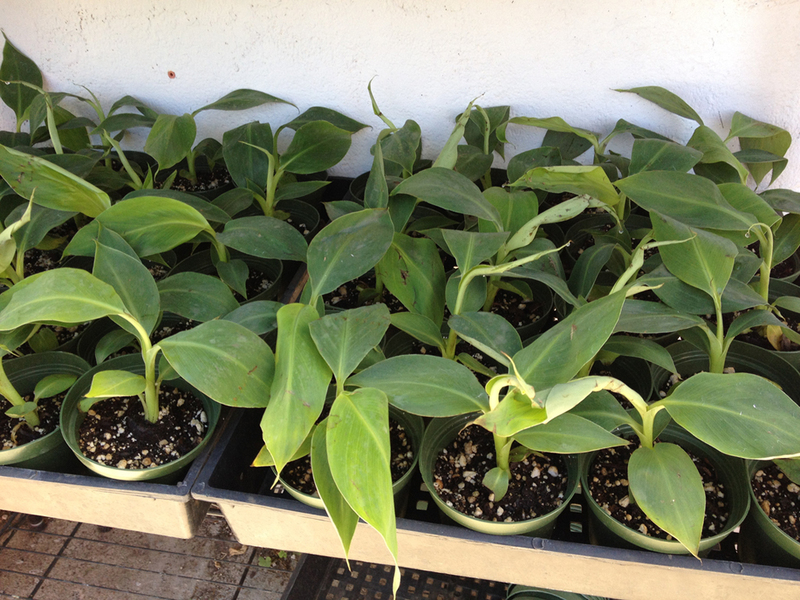 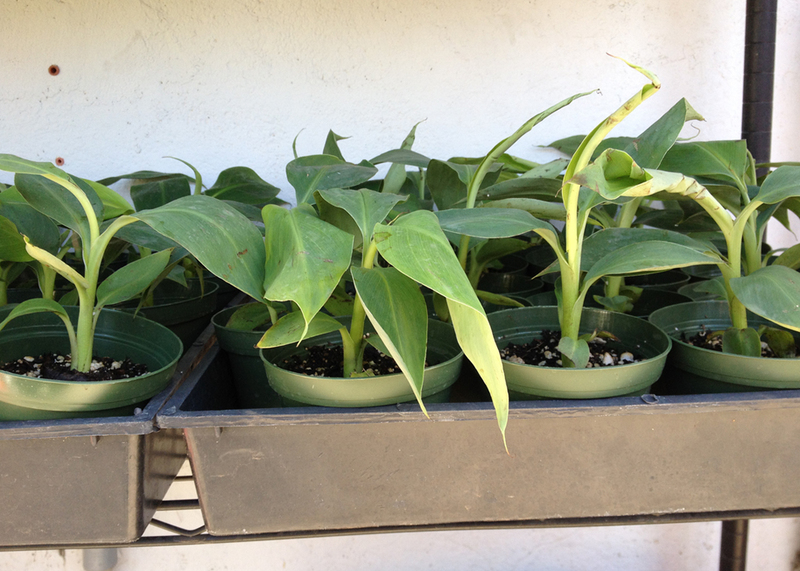 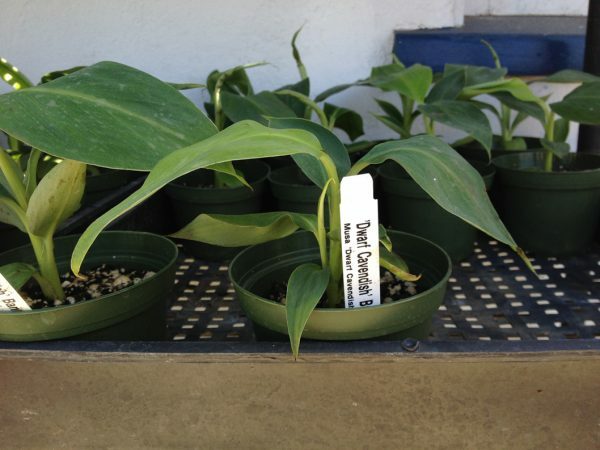 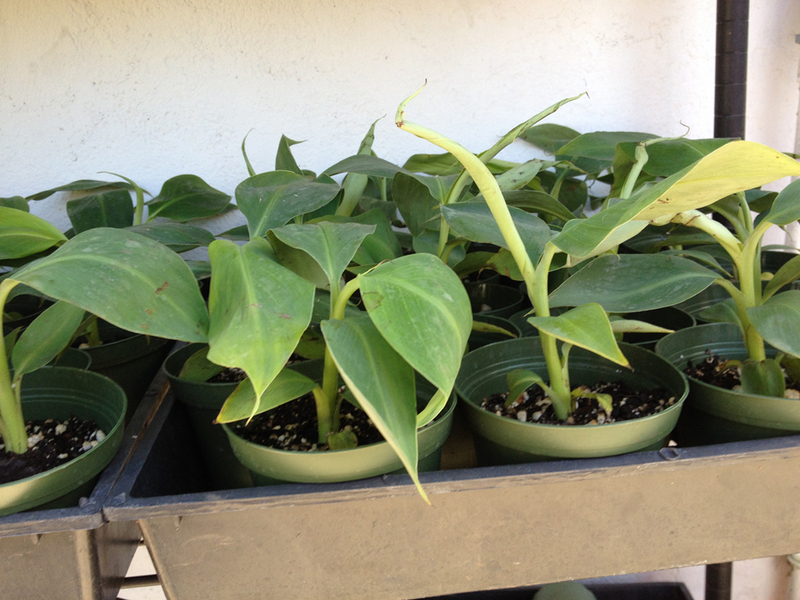 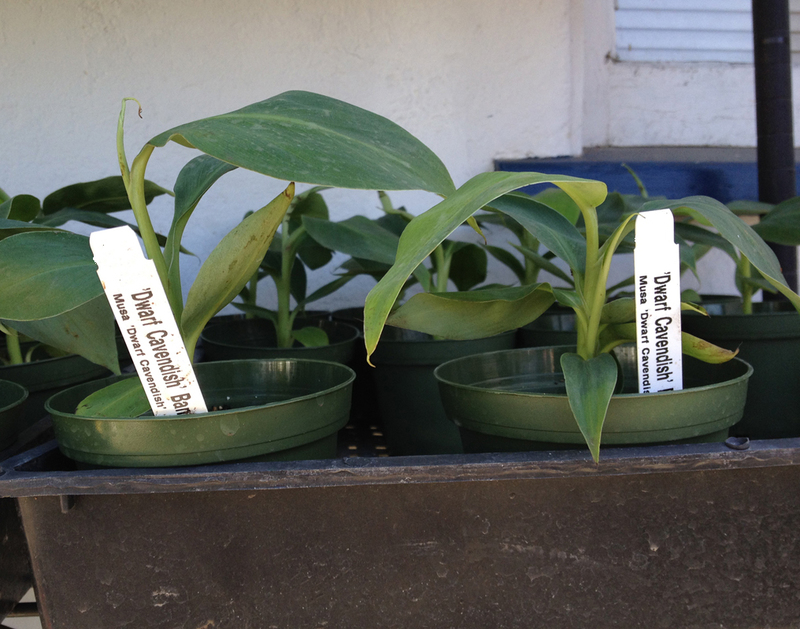 Plants are 3″-8″ tall and ship in 4″ pot ready for transplanting or a larger pot!